A funnel-shaped fibromuscular tube that conducts food to the ESOPHAGUS, and air to the LARYNX and LUNGS. 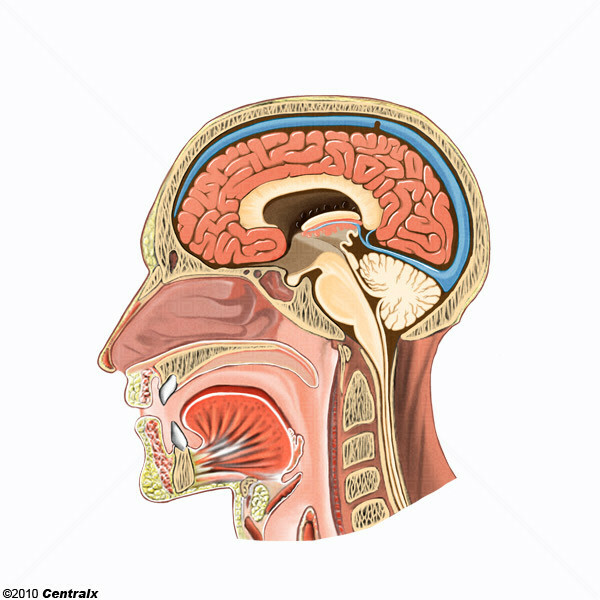 It is located posterior to the NASAL CAVITY; ORAL CAVITY; and LARYNX, and extends from the SKULL BASE to the inferior border of the CRICOID CARTILAGE anteriorly and to the inferior border of the C6 vertebra posteriorly. It is divided into the NASOPHARYNX; OROPHARYNX; and HYPOPHARYNX (laryngopharynx).